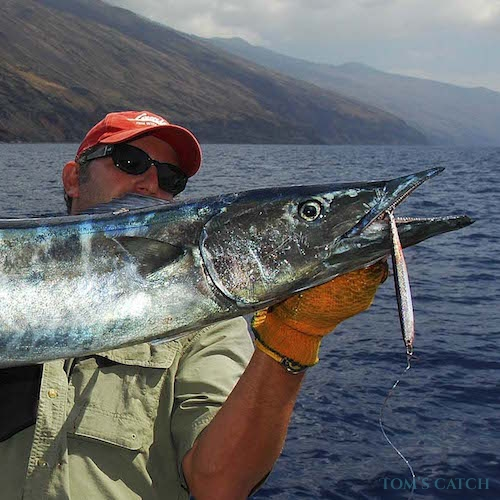 Many people consider Lanzarote to be the best fishing area of the Canary Islands. In contrast to the other Canary Islands, fishing in Lanzarote is characterized by its unique and peculiar marine geography, a result of the island emerging from the bottom of the Atlantic Ocean by emissions of lava millions of years ago. There are large numbers of sedentary species, but this area experiences a lot of transit by many migratory fish stocks. 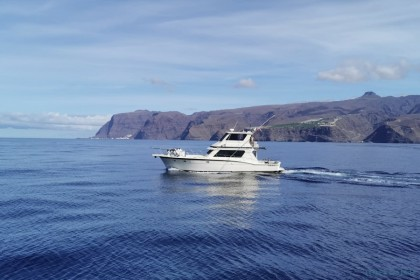 Whether you practice spinning, jigging, coastal trolling, bottom fishing or deep sea fishing, the fishing possibilities offered in Lanzarote are enormous ... and so are the chances of catching the fish of your life, too. Here, the rocky seabed with its sandy zones is a real treat for fans of jigging. Wherever you go, you'll find lots of drop offs, rocks and wrecks; an oasis for jigging fanatics. 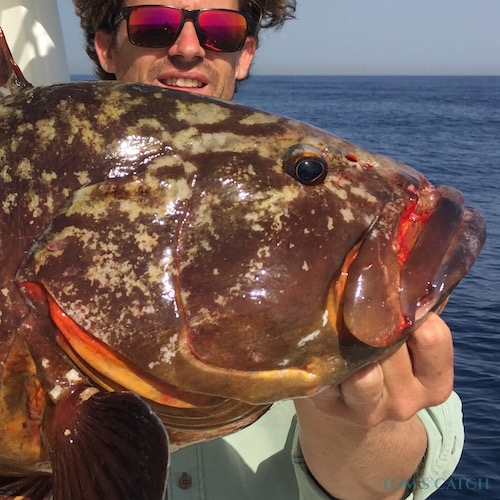 Throughout the season you can practice jigging and can catch bonitos, sierras (the Canarian name for Atlantic Bonito), groupers and wahoos. 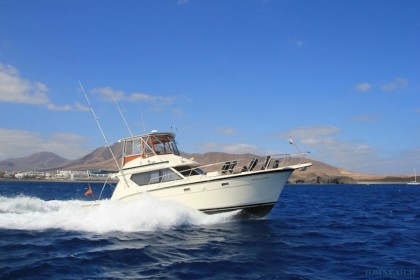 To go jigging in Lanzarote, you’ll need a good charter fishing boat and a good guide who knows the area and its secrets. 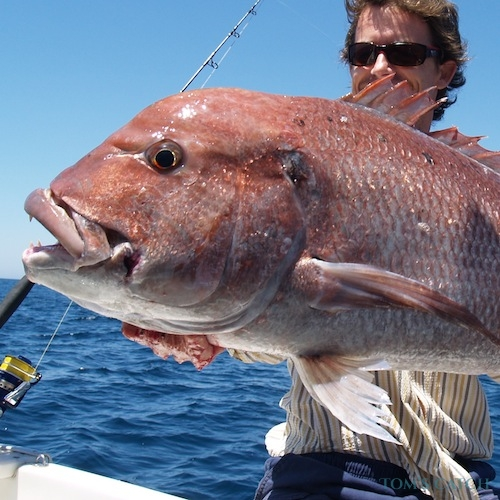 You can enjoy unforgettable fishing in Lanzarote with light trolling using teams of 20 to 30 pounds and small lures. Depending on the season, it is possible to find different species such as sierra, red snapper, wahoo, bonito and sea-pike. The Blue Marlin (the king of deep sea fishing), white marlin, dorado (dolphinfish) and different types of tropical tunas visit the waters of Lanzarote and Fuerteventura from June to late October. Bluefin tuna approach the islands in autumn and winter. Here, you can also catch the hammerhead shark by fishing with natural bait. 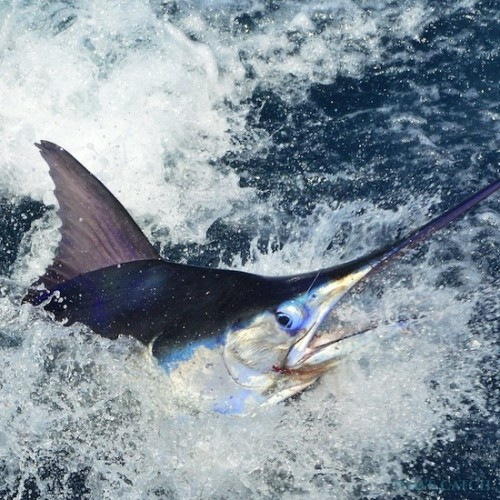 Blue Marlin: With trolling, blue marlin can be caught with lures like octopus crawling behind the boat. Many fishermen say that in Lanzarote, the blue marlin actually starts when you reach the 500m isobath. 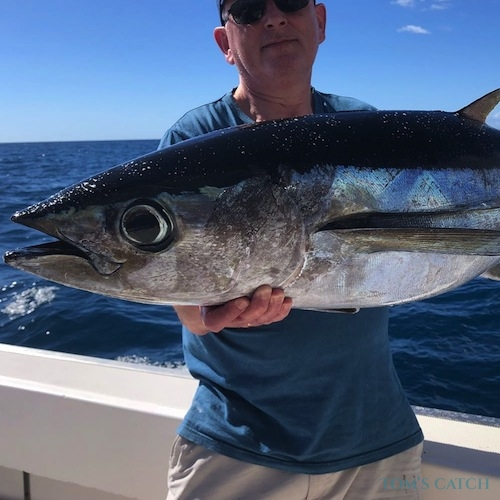 This does not mean that they cannot be found closer to the coast since it would not be the first time that a Marlin attacking the bait just when we are walking out the port in just 70m. The best time for fishing blue marlin in Lanzarote is from July to November. White marlin: White marlin usually move in small groups in waters more than 100m deep. The white marlin feeds on all kinds of fish, cephalopods and crustaceans. 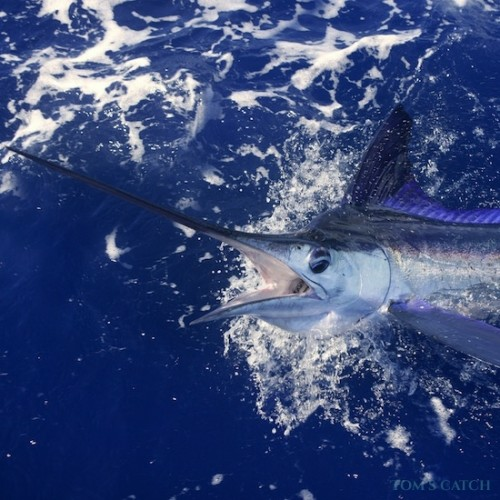 The best time for fishing white marlin in Lanzarote is from July to November, just like the blue marlin. Amberjack: From November to January the big amberjacks (30-50 kg), or medregal as they are called in the Canary Islands, relieve the "picudos" at the top of the food pyramid. Lanzarote fishing with live bait requires a fisherman who knows this technique to perfection. You can fish to the drift or by trolling. 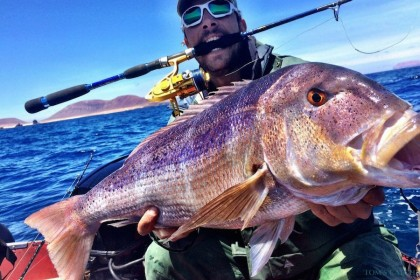 Fishing medregal in Lanzarote is also one of the most desired activities for practicing jigging. 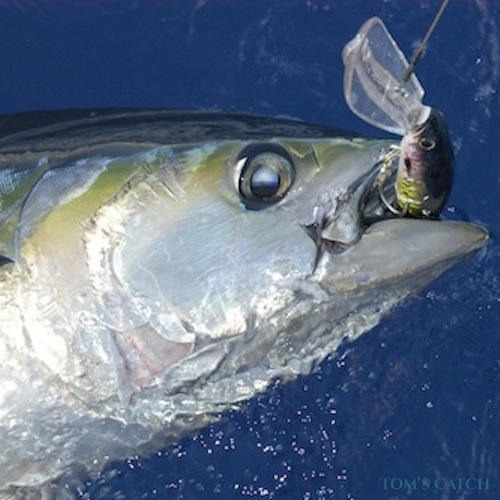 Big Eye Tuna: Big eye tuna can be fished with artificial lures and sometimes with natural bait. 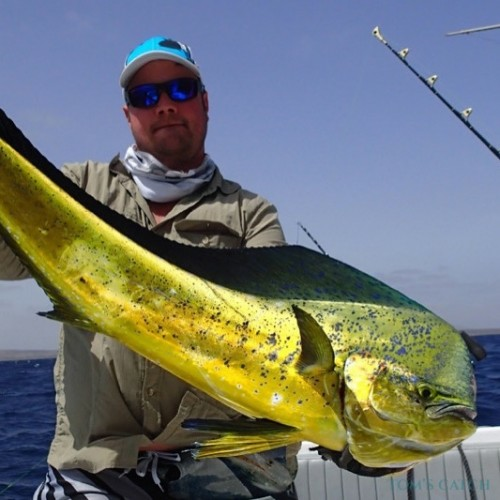 Fishing big eye tuna in Lanzarote is especially done during the months of February, March and April. Grouper: The grouper is found in rocky areas where it is well camouflaged by its brown and white spots. 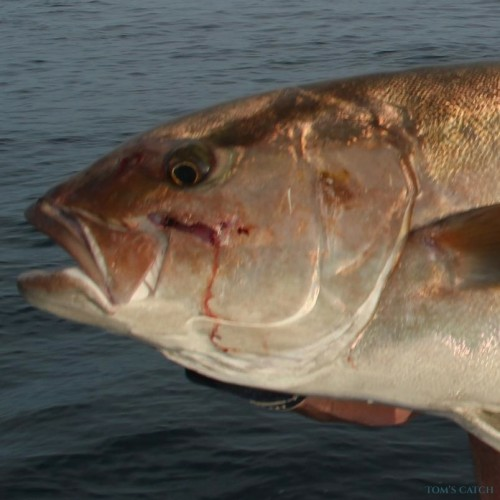 The best way to catch the grouper is using natural bait (squid, mackerel or choco for example) to the drift or by trolling. It can also be fished with jigging. Once it is caught, it is important to try to "raise it" from the seabed, because if he has the slightest possibility, he will escape into a hole where it is virtually impossible to get to him. 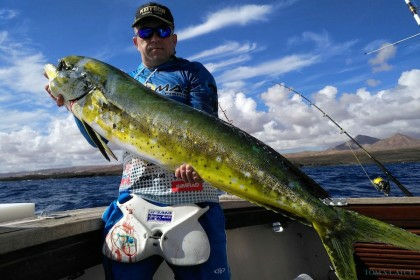 Autumn and winter: Anchored or drifting, the best technique for fishing in Lanzarote during the autumn and winter is bottom fishing. 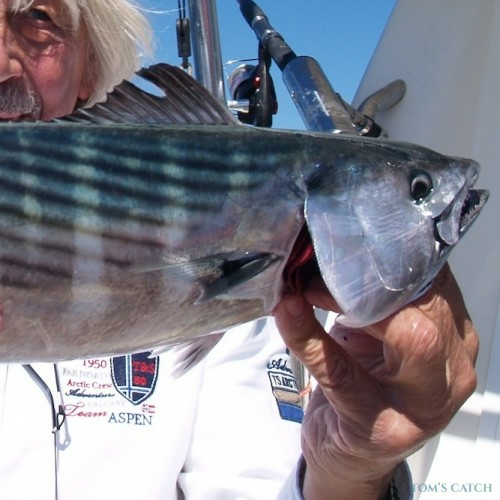 With natural bait you can catch all kinds of rockfish, big stripe and sierra. 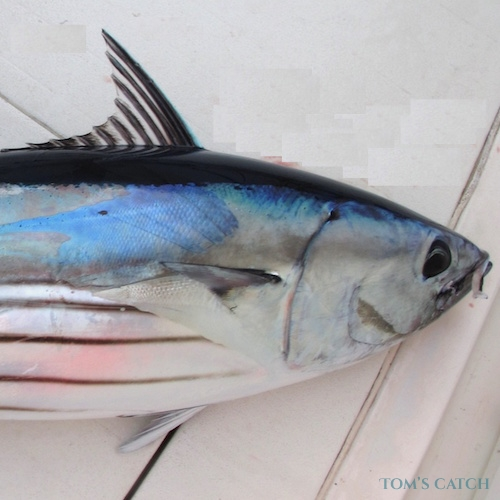 With live bait (mackerel, choco or squid, for example) you can fish for amberjack or pink dentex. 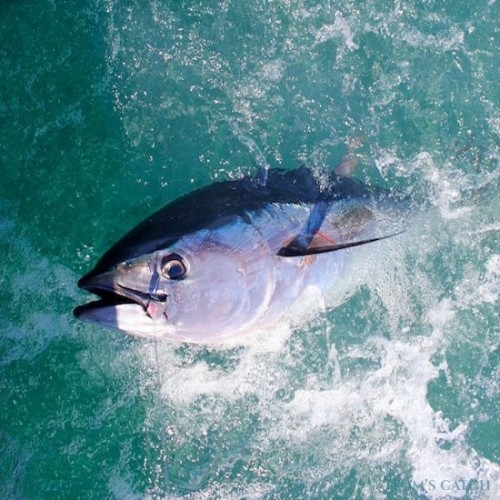 During winter and early spring, migrating bluefin tuna, big eye tuna and albacore visit the area. 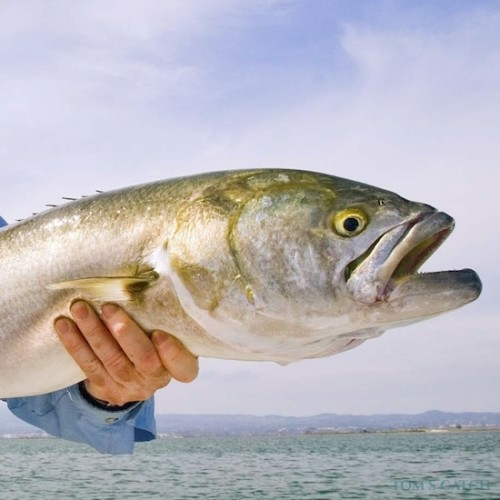 They are captured by trolling with larger lures or natural bait. 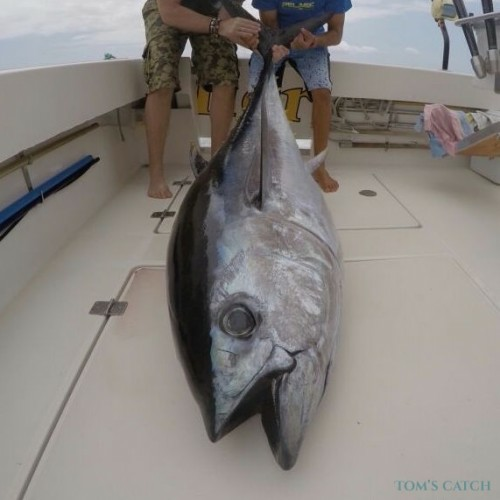 You can also fish tuna to the drift with natural bait. 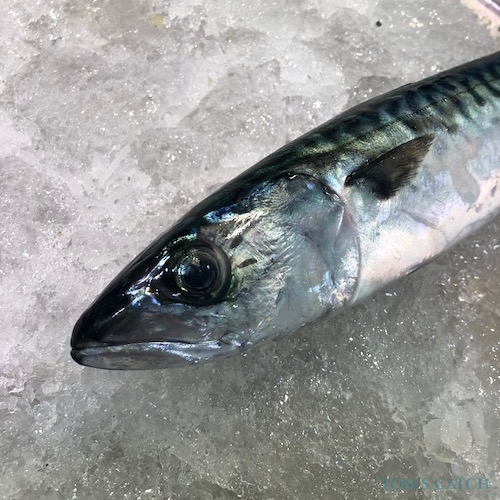 Spring and summer: In the summer, mackerel, sardine, lacha (the favourite food of wahoo), albacore, bonitos, white marlin and above all, the blue marlin can be found. 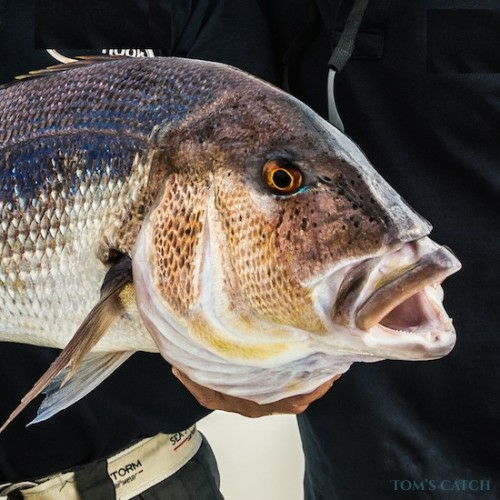 The "picudos" visit the island from early July to November, but the best months for fishing in Lanzarote are the months of September and October. 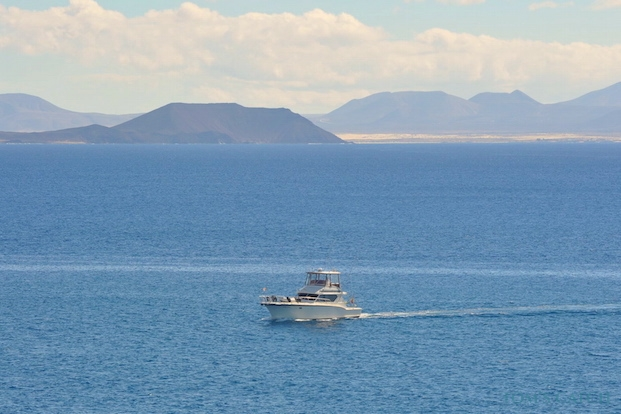 Fishing in Lanzarote during this time of year is characterized by a large number of ships practicing trolling: fishing that is practiced at a speed of approximately 6-8 knots with all kinds of artificial lures such as octopus or squid.